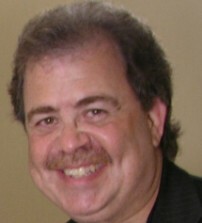 MOVIEMANIA!, EVERYTHING ENTERTAINMENT and THE MOVIE SHOW, hosted by JOEL GIBBS, have been broadcast since 1991 on WPHT 1210AM and WWDB-FM in Philadelphia, as well as in national radio syndication on the Lifestyle TalkRadio Network. His 60-second daily feature, The Movie Show Minute, was heard on over 400 stations across the U.S. with all the latest buzz about the movie industry, new releases on DVD, showbiz gossip, entertainment news and more. Joel is a member of the Broadcast Film Critics Association and has emcee’d the Academy Awards’ Oscar Night America gala in Philadelphia since 2001. His TV talkshow, LiveWired, earned him - as producer, writer, and host - a Cable Ace Award nomination and the Telly Award for “Best Talk Show”. He’s also appeared as a commentator and panelist on talk shows all over America.. Since 1975, Joel has been a nationally-known radio & TV producer/director and owner of one of the city’s signature creative houses and production companies. His advertising agency has represented dozens of clients over the years and with his wife and partner, Lois, he directs the Love The Arts In Philadelphia campaign on behalf of philanthropist, H.F. “Gerry” Lenfest. His year-‘round appearances on the city’s CBS, ABC and NBC stations provides viewers with a constant flow of information about the hottest tickets in town in every facet of The Arts. As the “man of a thousand voices”, Joel has provided a repertoire of more than 100 celebrity voices and an endless variety of dialects and cartoon characters in thousands of spots, animated films, documentaries and websites. Joel’s many years of experience in broadcasting and production, along with his borderline-insane knowledge of film, television, music and everything about the entertainment industry combine to make his radio show a true original.